How do you feel about dipping ramen? The kind of ramen that you eat like cold soba. That’s what I had at my most recent trip to Minca. 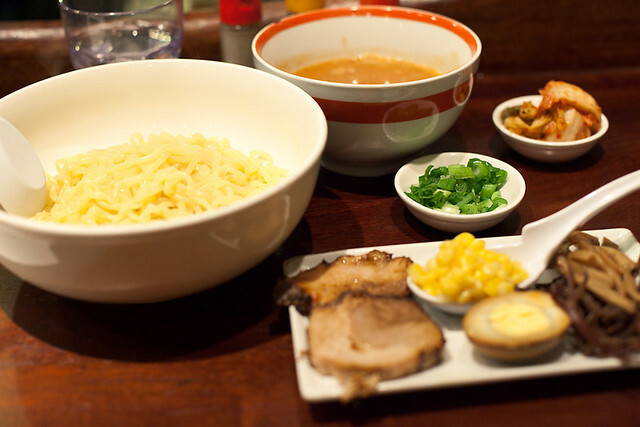 The spicy tsukemen ramen was the kind of spicy that gave you a little bit of sweat, the refreshing kind. For an extra kick, it came with a small dish of kimchi. Dipping ramen lets you decide how much broth you want to drench your noodles in and you don’t have to worry about the ramen getting all soggy for sitting in the broth.